The indigenous peoples of North America were the first to discover that the sap of a maple tree could be a source of energy and nutrition. During the winter, maple trees store starch in their trunks and roots, and convert it into sugar that rises in the sap in the spring. V-shaped incisions were cut into the tree trunks, and reeds or hollowed wood tubes inserted to channel the sap into containers. European settlers quickly adopted this method, and over the years made their own improvements to the process. 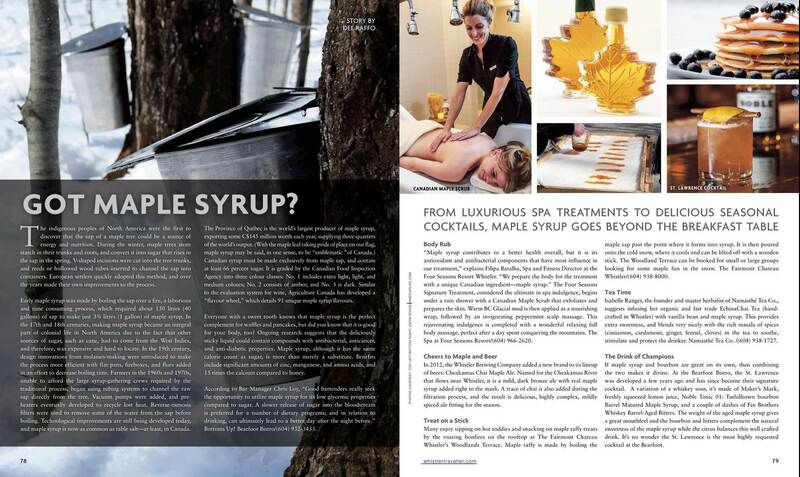 This entry was posted in Whistler and tagged maple syrup, whistler traveller. Bookmark the permalink.